Dr. Aditya Mohanty, professor of philosophy at Utkal University, Orissa and his graduate students, founded RAWA Academy and established several children’s homes collectively called Adruta Children’s Home, providing homes for a total of 400 children. Besides the children’s home at Bhuvaneswar which is exclusively devoted to the cause of girl children in distress, there are other units of Adruta Children Home at Rayagada, Balangir, Angul, Puri, Keonjhar, Sundargarh, Dhenkanal and Mayurbhanj. 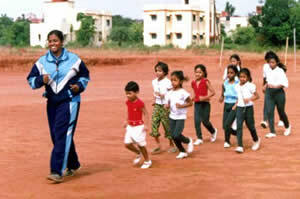 Adruta Children’s Home was established to give a home to unclaimed, deserted and parentless children in Odisha. About 44% of the population of Odisha live below the poverty line. About 36% of the populace are illiterate and the per capita annual income is a meager $178.06. The plight of a girl child is still worse, since parents, at large, consider a girl child as a liability. The illiteracy rate of the females in Odisha is staggering 55.69%. But even these shocking statistics do not adequately describe the dismal state of affair of the girl children who are orphaned, deserted and unclaimed. Adruta came into being in 1998 with the induction of Purnima, who has, in the meantime, grown into the stature of a national artiste in Odissi Dance. 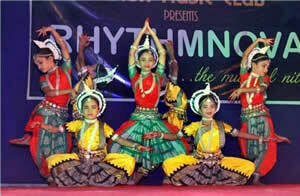 Since then, Adruta has grown into a model home drawing the attention of the people in the locality. There has been no looking back even though there have been intermittent constraints and handicaps due to the absence of regular inflow of funds from governmental and non-governmental agencies. Generous help of like-minded people and organisations, dedication and commitment of the cadres, and lots of Grace have helped the organisation to live through thirteen eventful years with success and satisfaction. Nitai Dhall and Hemant Basudev are providing assistance to put the institution on the path to sustainability. Adruta Children’s Home was awarded the Memento of recognition by Dept. of Women and Child Welfare, Govt. of Odisha in the year 2005-06. 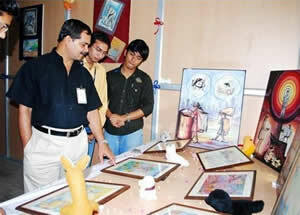 The orgranization received the Excellency Award-2006 on 29th August, 2006, at New Delhi, in the field of social action. The ongoing activities of the Children’s Home are monitored by Dr. Sagarika Mishra, Superintendent and Miss Supriti Mohanty, Secretary, backed by a band of committed volunteers who work as caretakers, cooks, etc. Together they provide a Neohumanist daily lifestyle for the children. In addition to attending school for academic learning, the children receive home instruction in yoga and mediation, values, the arts, sports and vocational training. Regular sessions in Yoga and Meditation early in the morning and evening, help the children keep themselves physically fit, mentally afresh and spiritually elevated. Spiritual stories and talks are organized every Sunday to infuse the sense of cardinal values like love, mutuality, tolerance, service and sacrifice in the mind of the children so that they grow into efficient as well as ideal persons in future. Painting helps a child to gain self-esteem and confidence. It provides an excellent source of personal relaxation and psychic therapy. It allows them to associate creativity with every aspect of life, not merely on the canvas. While painting they cultivate aesthetic awareness of the beauty of nature. Music helps the children in pain management, and to ward off depression, promote movement, ease muscle tension, and etc. Special classes in Vocal and Instrumental music are held for the children of Adruta home. Training in Classical and folk dance is given to the residents of Adruta as it provides physical agility, strength and endurance to the children.